Rachael Lucas has done it again! I adored The State of Grace and was really highly anticipating the release of My Box-Shaped Heart as a result and I was not at all disappointed. This book is gorgeous and filled with layered characters that I could really connect with. I loved their stories and how authentic the whole book felt. What really stood out for me is that this is the kind of book that someone somewhere will pick up and see themselves for the first time. Holly and I clicked immediately. I really felt for her when learning about her living conditions with her mother. Although she loves her mother wholeheartedly, she is embarrassed by the state of their house due to her mum’s hoarding, which inevitably causes her some social difficulties too. The teachers are concerned about her, she has so much responsibility on those young shoulders and I just really warmed to her. Holly’s passion is swimming and it was really great to read a book where the character’s passion was what really kept her going when things were tough. At a first glimpse I was wary of Ed (or ‘the boy’ as I first called him in my review notes). He seemed quite full of himself but I could also sense there was something going on. When that something became more revealed my feelings for Ed changed completely and I just adored him. There are a whole host of other fantastic characters in this book including Cressi the amazing neighbour who supports Holly with her swimming as well as at home with her mother. I think we could all do with a Cressi in our lives from time to time! I also really liked reading the scenes with Allie and Rio in and I warmed to Lauren more and more as the book went on. In fact some of my favourite scenes were with Lauren and Holly. There are also a few not so nice characters in the book so it’s not all rainbows and puppies! My favourite thing about this book though? Definitely seeing Holly’s struggle and I say this because her struggle is so real and so many readers will resonate with it. Holly is embarrassed of their house, she keeps herself to herself because of her mum but at the same time she adores her mum and still counts herself as lucky to have a loving home – even if it’s not her dream home physically. Some parts of this struggle were so honest that they left me feeling raw with emotion. It’s a really touching and beautiful read. I don’t want to go much into the plot as I think this is a book that is best discovered for yourself but what I can tell you is that My Box-Shaped Heart is much more than it first appears. It is a book about friendship, love, families, learning to love yourself and it will leave your heart pounding with emotion. I really can’t wait to see what Rachael Lucas will write next! Thanks to NetGalley, Macmillan Children’s Books and Rachael Lucas for my advanced copy in exchange of a fair and honest review. 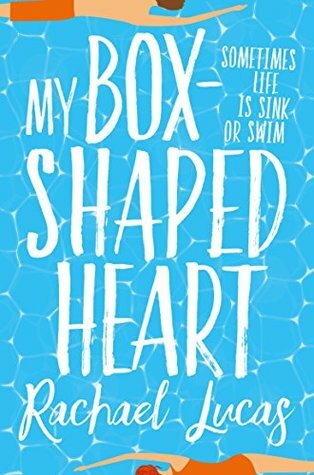 Have you read My Box-Shaped Heart? What did you think? Is it on your TBR? What are your favourite YA contemporaries so far this year? ← Six for Sunday | Metallic Books!